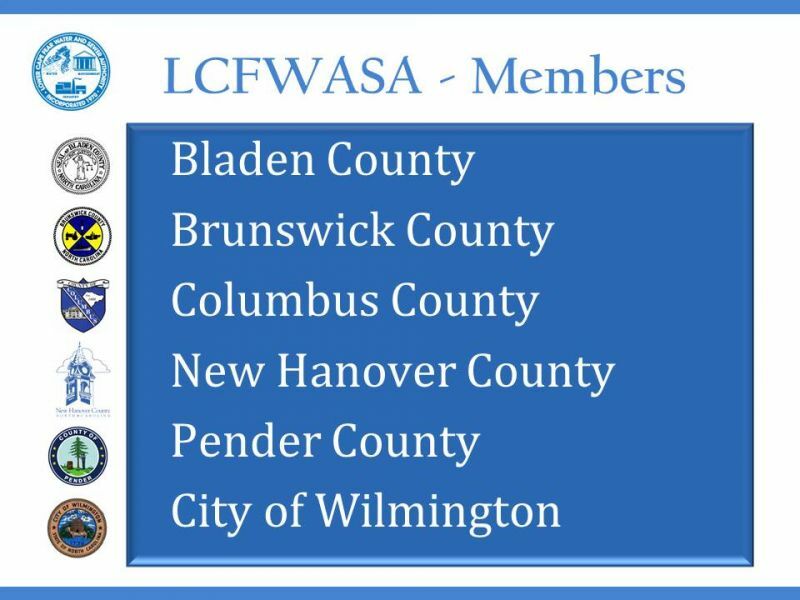 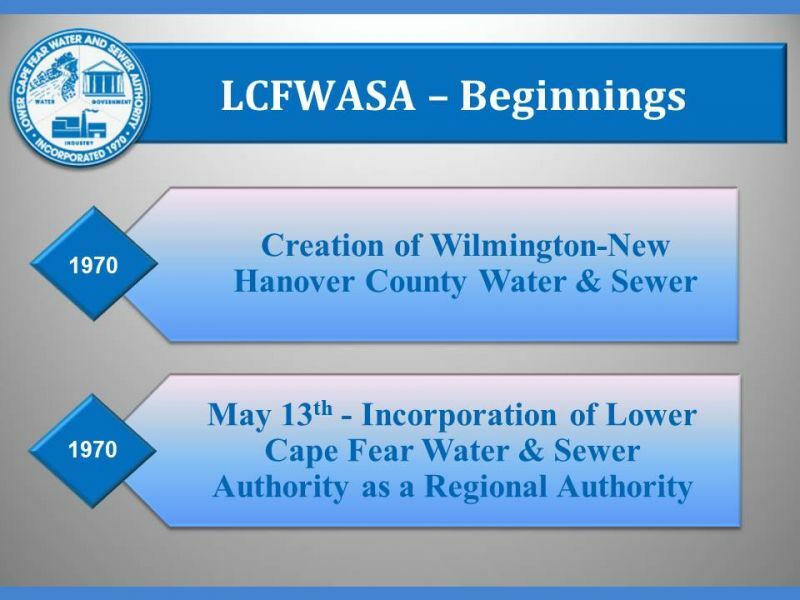 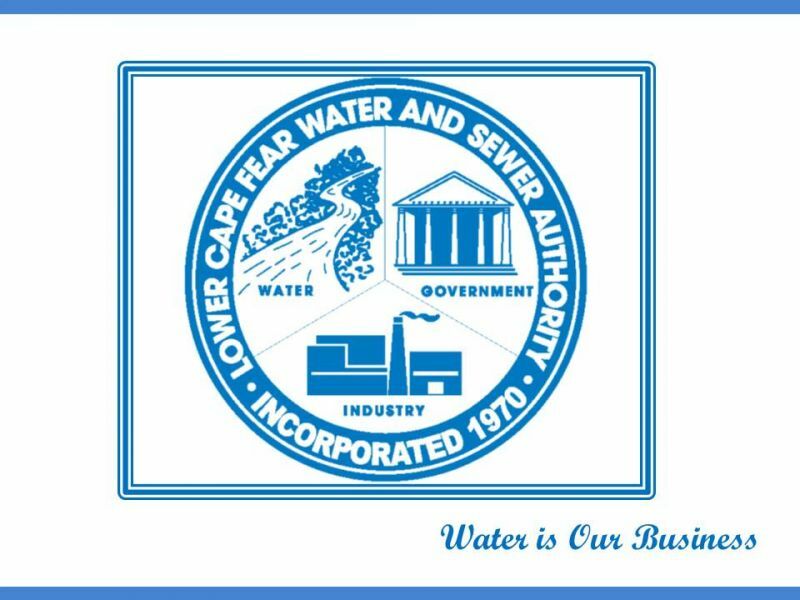 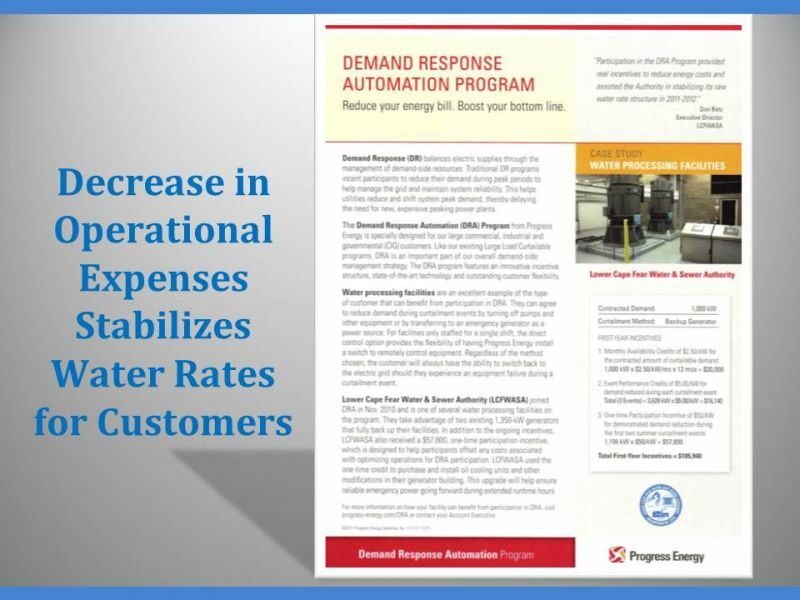 The Lower Cape Fear Water and Sewer Authority is a regional organization with sponsoring members that are comprised of Bladen, Brunswick, Columbus, New Hanover, and Pender Counties, and the City of Wilmington. 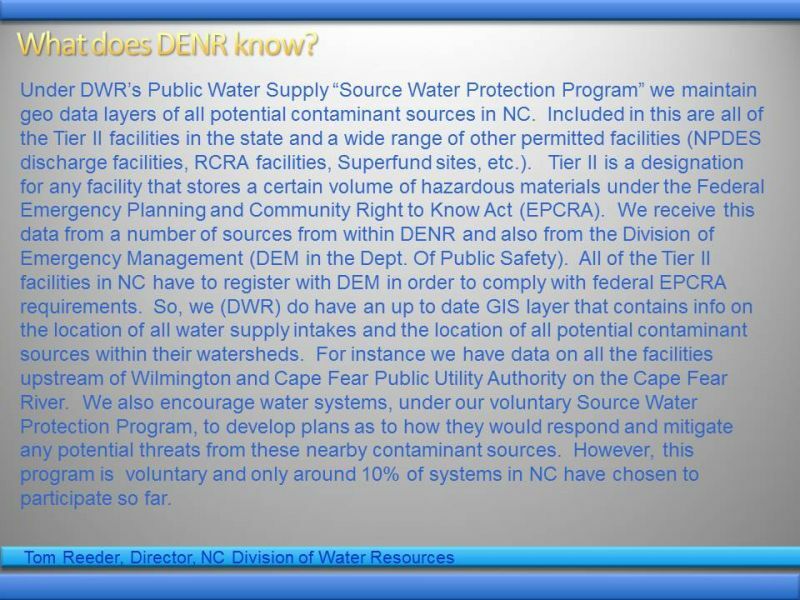 The Authority was created to aid development of a water supply system for the sponsoring member governments, which are primarily located in southeastern North Carolina. 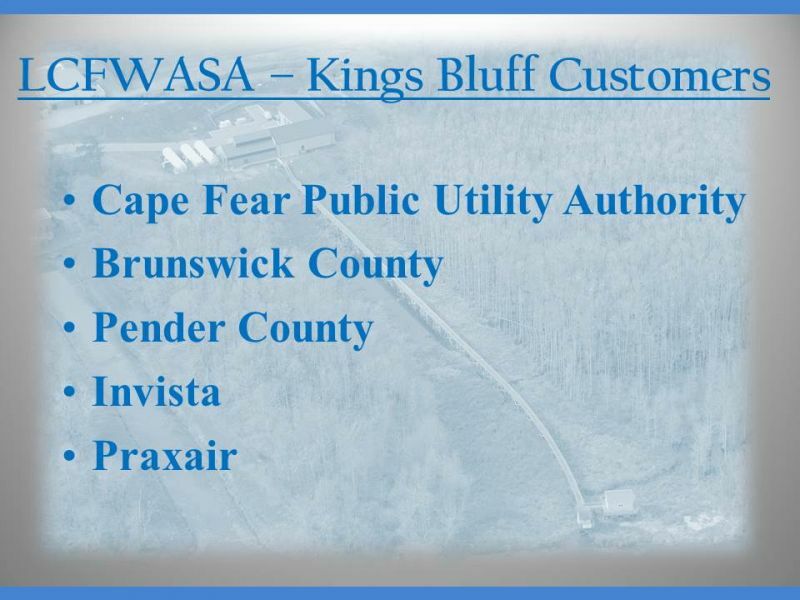 The Authority owns and operates two facilities. 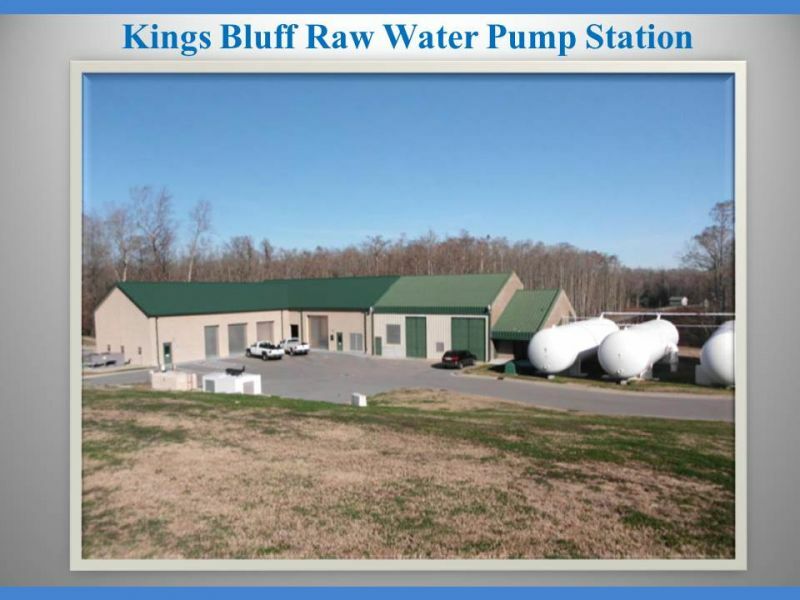 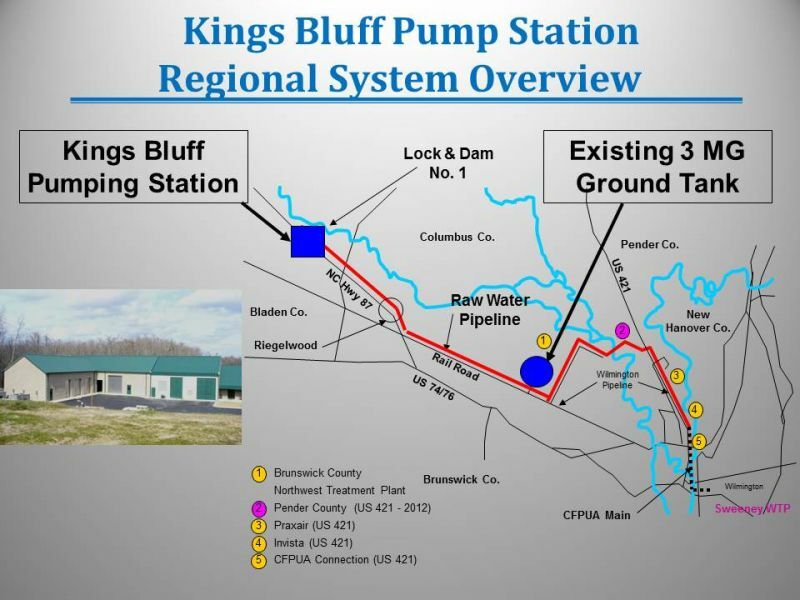 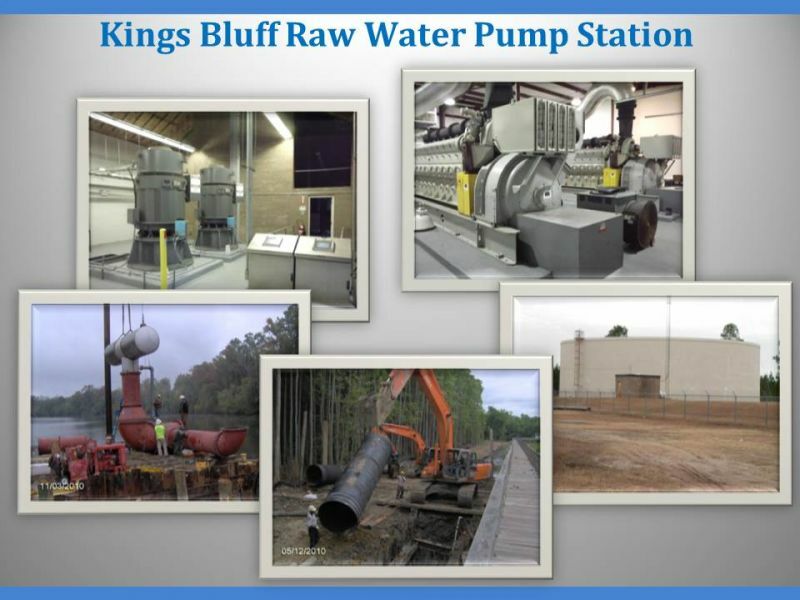 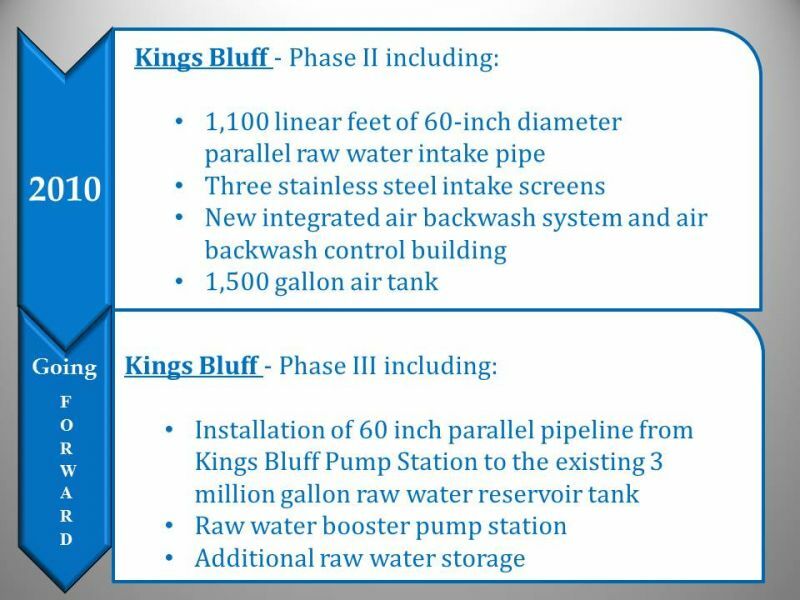 The Kings Bluff Raw Water Pump Station obtains raw water from the Cape Fear River via two raw water intake pipes located just above Lock & Dam No. 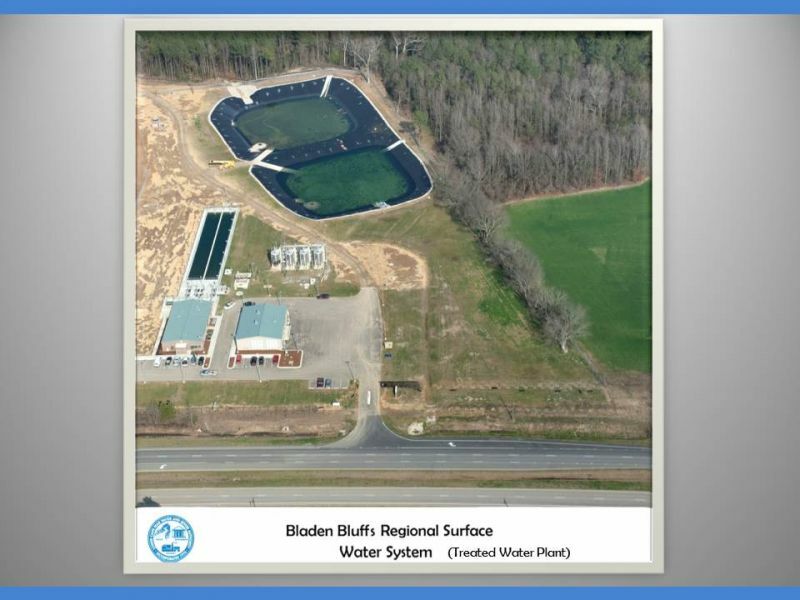 1 in Bladen County. 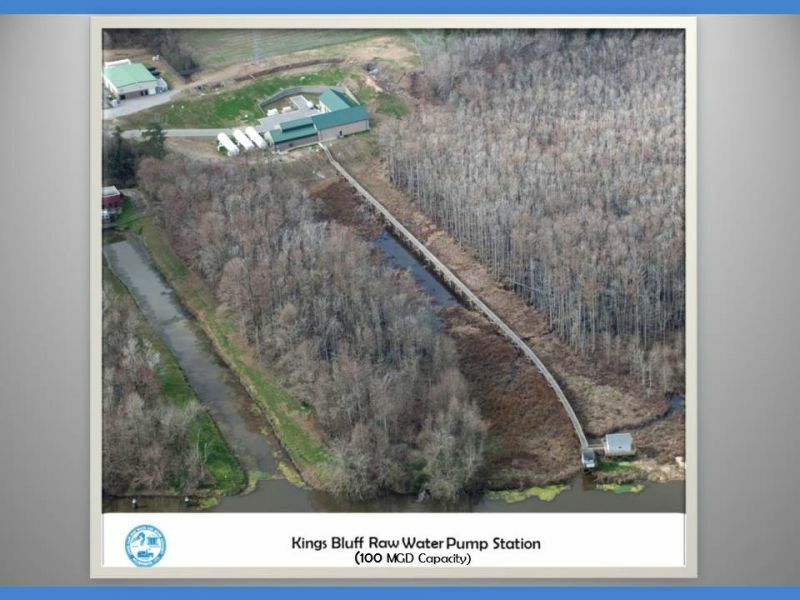 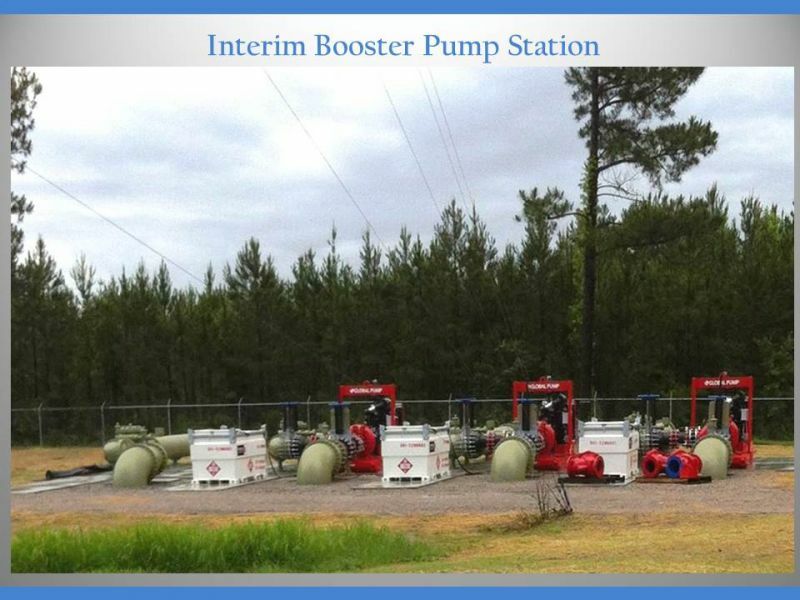 The 100 million gallons per day (MGD) capacity station conveys raw water by various raw water transmission mains to several governmental and industrial users in the region. 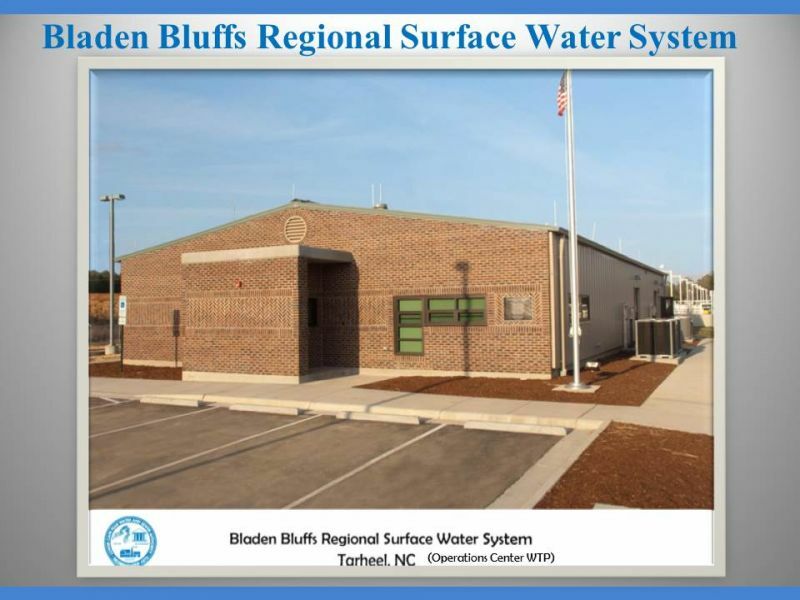 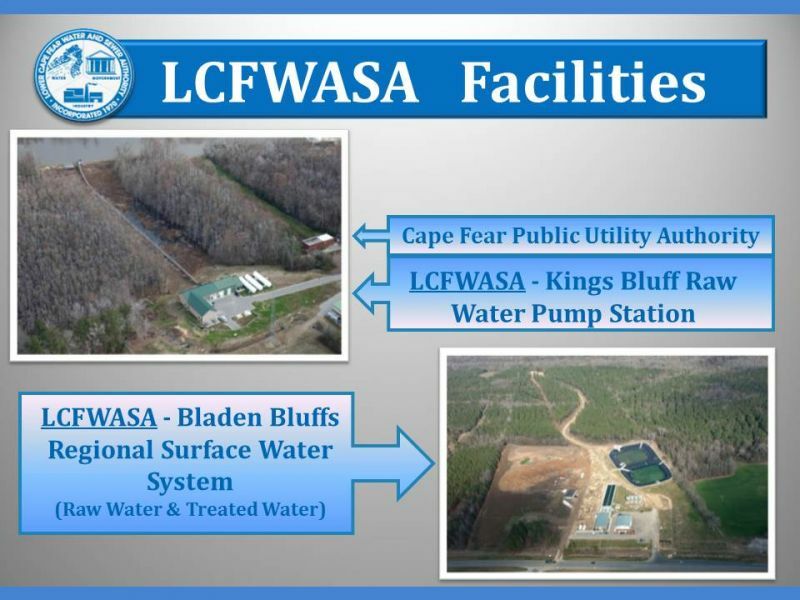 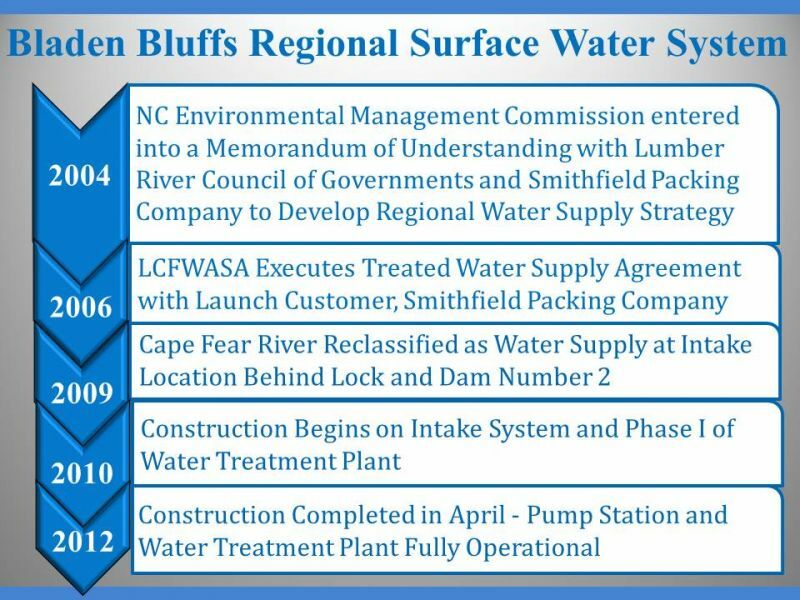 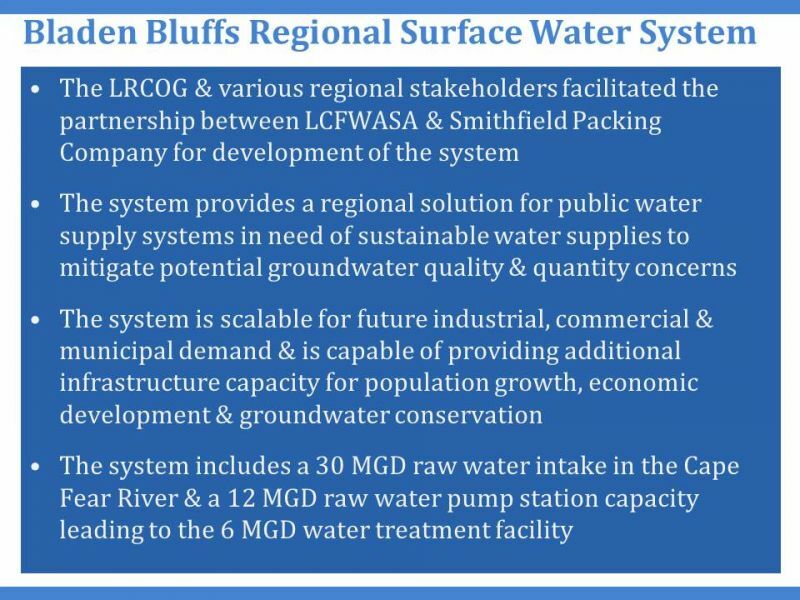 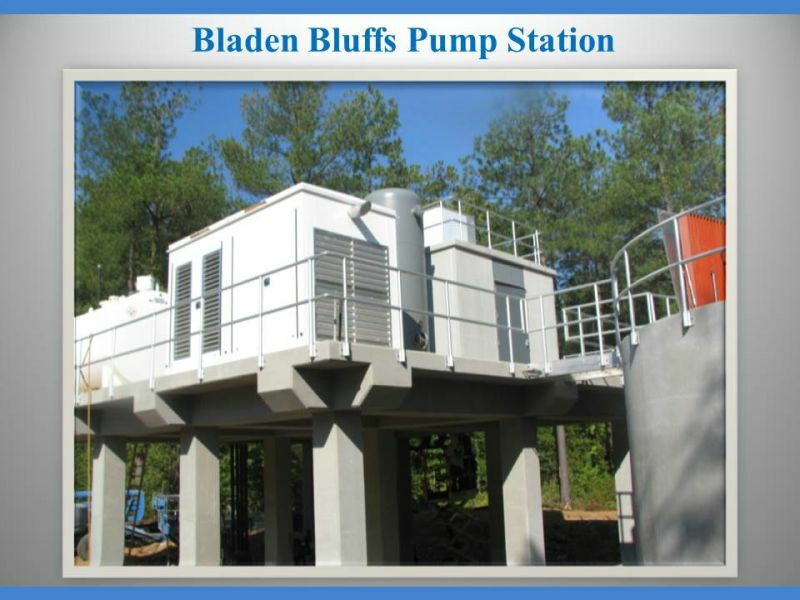 The Authority owns and operates the Bladen Bluffs Regional Surface Water System, in partnership with Smithfield Farmland Company which is supplied treated, raw water from the Cape Fear River. 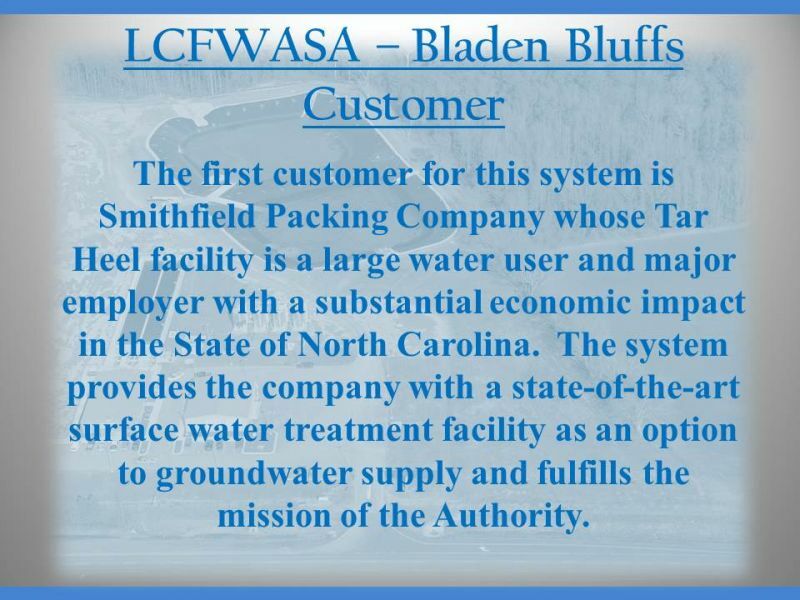 The facility is a 6.0 million gallon per day (MGD) drinking water facility located near the Town of Tarheel in Bladen County, approximately opposite of the Smithfield Packing Facility on NC Highway 87. 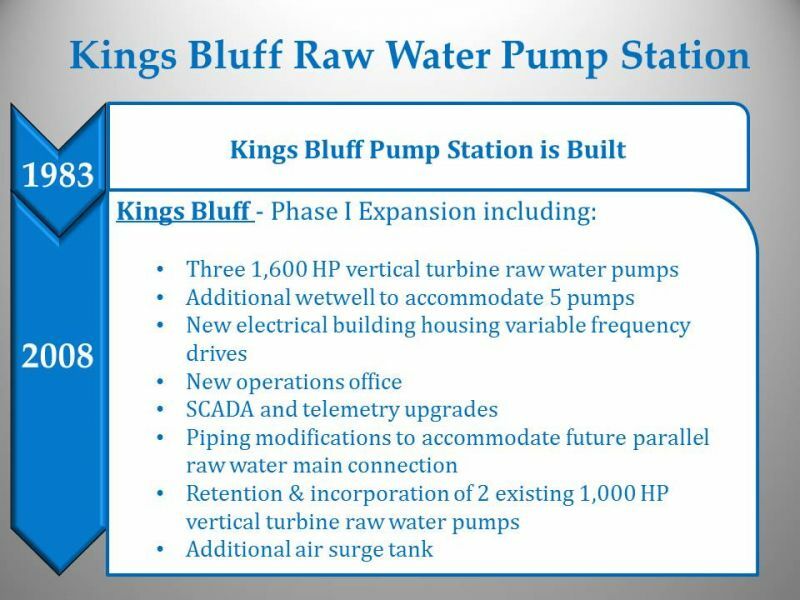 Logo Beginnings Members LCFWASA Facilities Kings Bluff Raw Water Pump Station Kings Bluff Construction & Expansion Kings Bluff Construction & Expansion (2) Kings Bluff Customers Kings Bluff System Overview Interim Booster Pump Station Kings Bluff Pictures Decrease in Operational Expenses Kings Bluff Aerial View Bladen Bluffs Regional Surface Water System Bladen Bluffs Aerial View Bladen Bluffs System Summary Bladen Bluffs Construction Bladen Bluffs Customer Bladen Bluffs Pump Station AWWA Advisory What does DENR know? 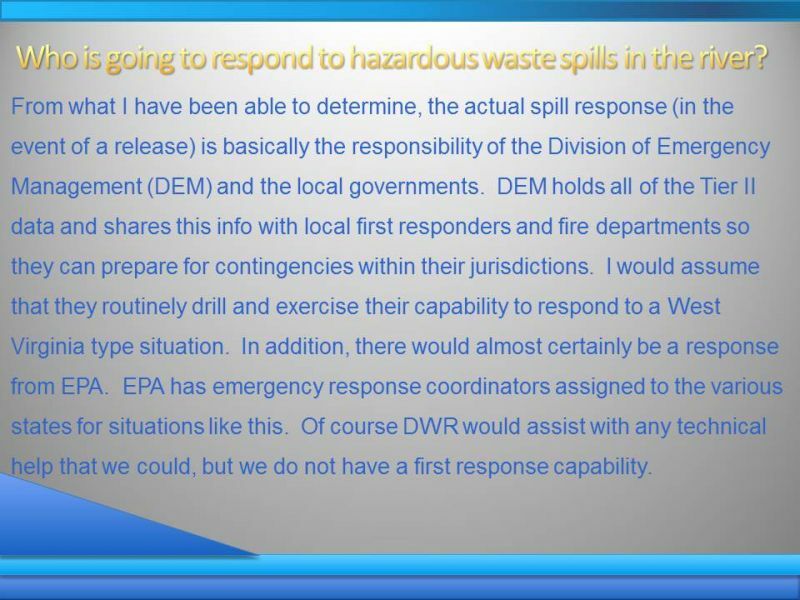 Who are responders to spills in river? 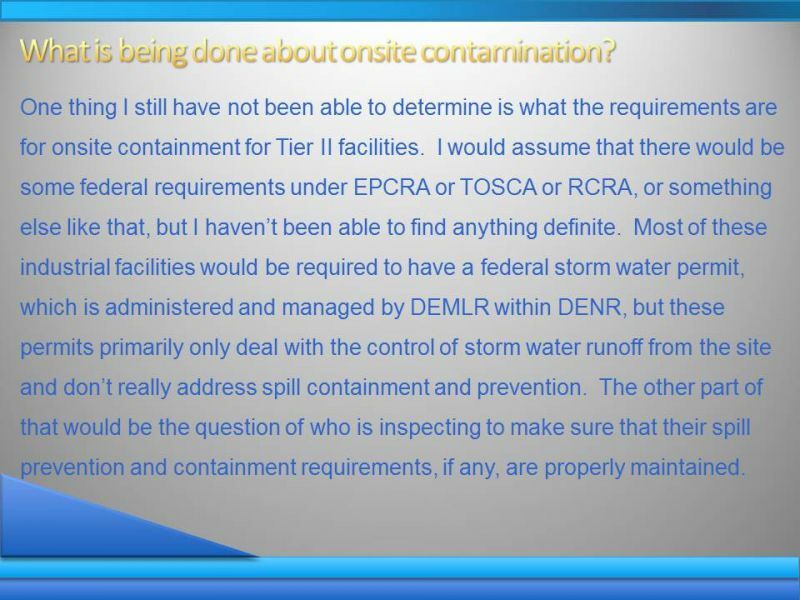 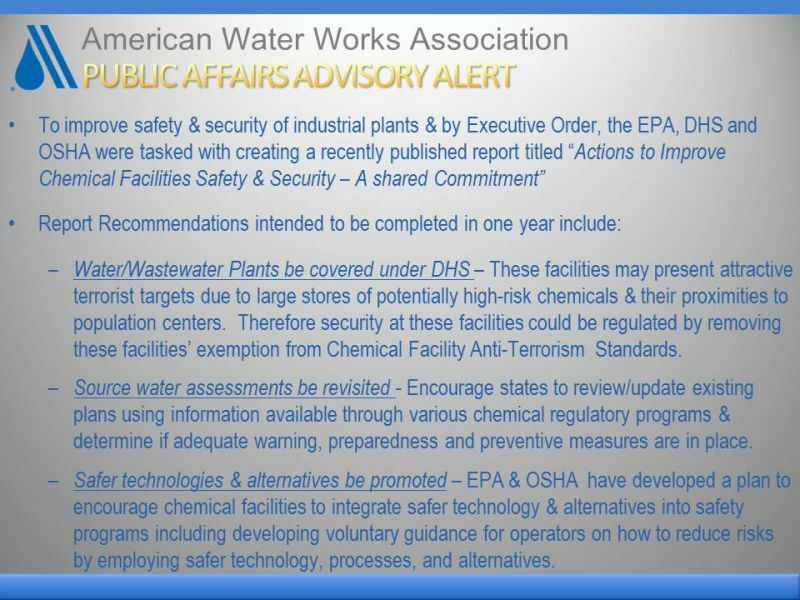 What is being done about onsite contamination?